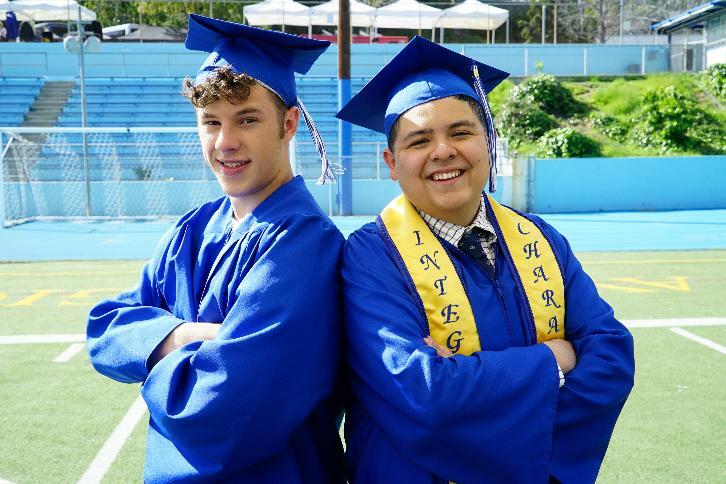 “The Graduates” – In the season finale, Manny’s father, Javier (guest-star Benjamin Bratt), shows up for his graduation and takes him out on a wild night of celebration, and then Jay steps in to pick-up the pieces. Meanwhile, the Pritchett-Dunphy-Tucker clan is getting ready for Luke and Manny’s big day and dealing with the emotions that come with seeing your kids grow up and leave the nest. “Modern Family” airs WEDNESDAY, MAY 17 (9:00-9:31 p.m. EST), on The ABC Television Network. Guest starring is Benjamin Bratt as Javier. “The Graduates” was written by Jon Pollack, Jeffrey Richman and Chuck and directed by Steve Levitan.